KIGALI, Rwanda – The Government of Rwanda and Metito have reached financial close of the first competitively tendered Build Operate Transfer (BOT) Water Concession in Sub-Saharan Africa. The finalisation of this Public Private Partnership (PPP) agreement will kickstart the highly-anticipated Kigali Bulk Water Supply Project with construction forecasted to last 30 months from the commencement date. Located in Kanzenze, in the South Eastern part of Kigali, the project will provide 40,000 m3/day of potable water to the residents of Rwanda’s capital city to serve domestic, commercial and industrial end users. Treated water will be extracted from the south bank of the Nyabarongo River and will supplement existing water supplies in a strategic move to meet Kigali’s growing water demands. Kigali Water Limited (KWL), a fully owned subsidiary of Metito, will design, build, maintain and operate the treatment plant and will then sell potable water to the Water & Sanitation Corporation of Rwanda (WASAC) under a 27- year PPP Agreement. The Emerging Africa Infrastructure Fund (EAIF), a member of the Private Infrastructure Development Group (PIDG), is the mandated Lead Arranger of the financing of this project, worth US$60.8 million. EAIF and The African Development Bank (AFDB) are covering US$40.6 million of the capital cost of the project; US$38 million of Senior Debt and US$2.6 million of Junior Debt with all loans on 18-year terms. The balance will be provided by Metito as equity finance. The Kigali Bulk Surface Water Supply PPP project also benefits from a US$6.25 million grant from PIDG’s Technical Assistance Facility (TAF). The announcement of the project financing is being hailed as a landmark moment in Rwanda’s social and economic development. The country aims to see 100 percent of its 12.4 million people having reliable access to clean water within the next few years. Currently, some 86 percent of urban areas and 72 percent of rural areas have access to improved sources of drinking water. 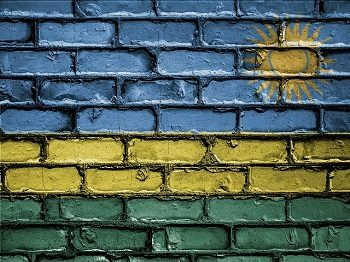 Rwanda has made great progress in recent years in implementing policies to alleviate poverty and modernise the nation’s economy and infrastructure. Its aim is to be a middle- income country by 2020. According to the World Bank, between 2001 and 2015 Rwanda averaged real GDP growth of around 8 percent and achieved rapid poverty reduction. By 2018 it aims to have raised GDP per capita to US$1000 per annum, have less than 30 percent of the population below the poverty line and fewer that 9 percent of the population in real poverty.